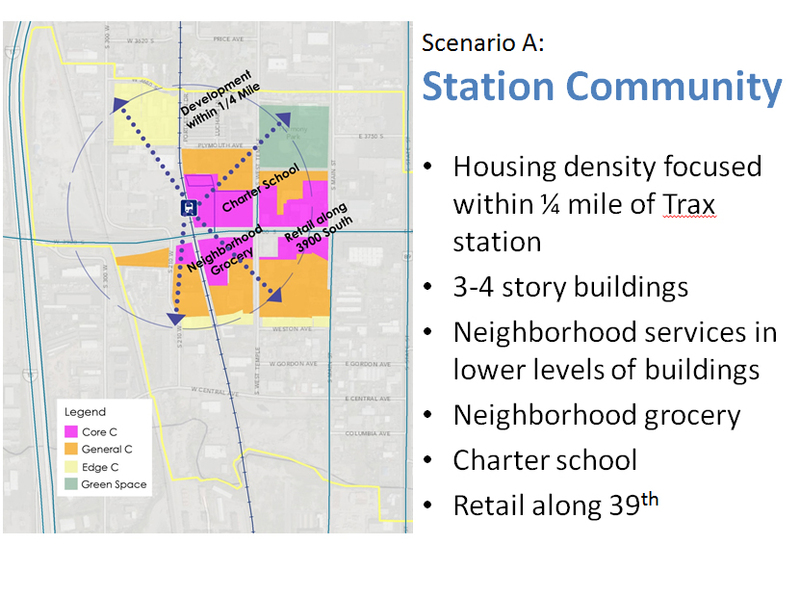 Envisioning Centers is a planning and implementation process for smaller areas. The creation of the tool was an effort conceptualized and led by Envision Utah. Its purpose is to synthesize the use of the Wasatch Choice tools, establishing a guided process for communities to plan using a thorough scenario planning process. The tool outlines and illustrates a scenario planning process that enables a community to explore a range of options and weigh the associated benefits and challenges. 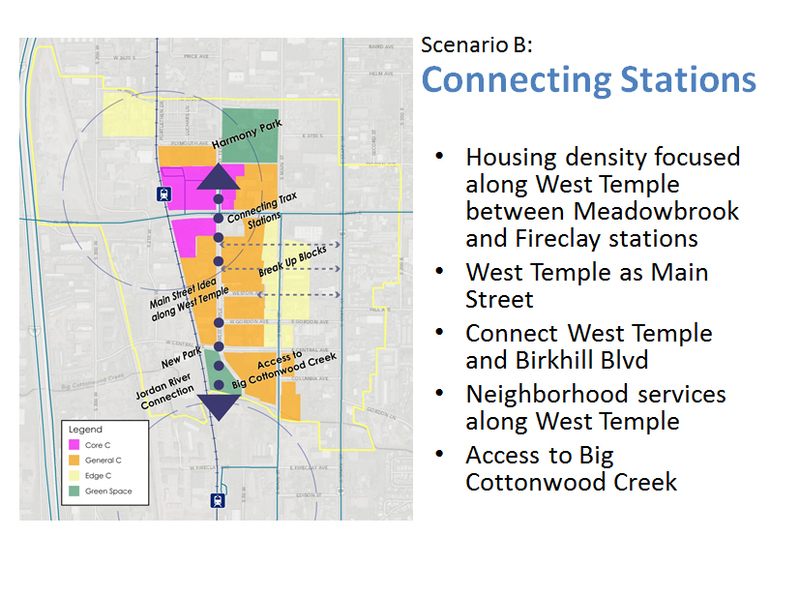 While developed especially with areas near transit stations in mind, the Envisioning Centers process is useful for any community planning effort, particularly those in which walkability and ease of access to housing, jobs, and services is desired. It is intended to be adapted as is best for individual communities. 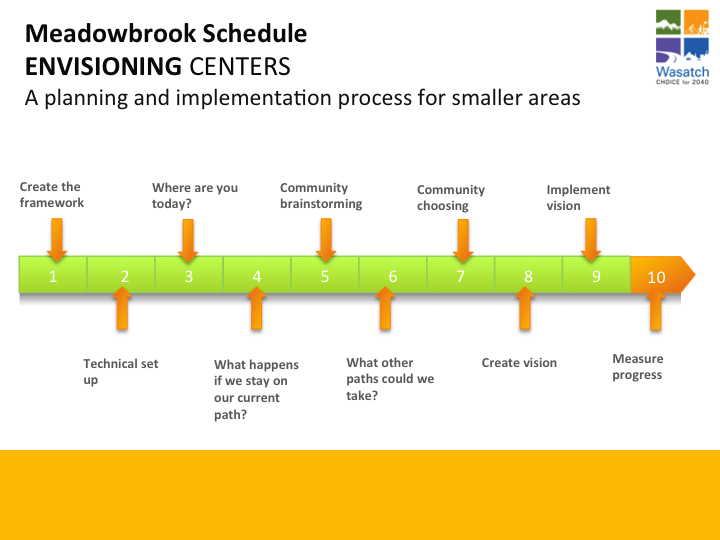 Envisioning Centers is a process that guides small areas from visioning to implementation and action. Communities are able to involve citizens and other leaders in a collaborative effort to determine their collective future. It integrates the tools together in a way that allows plans to go from creation, cost-benefit analysis, public review, implementation, and finally performance measurement. The Envisioning Centers tool is free. 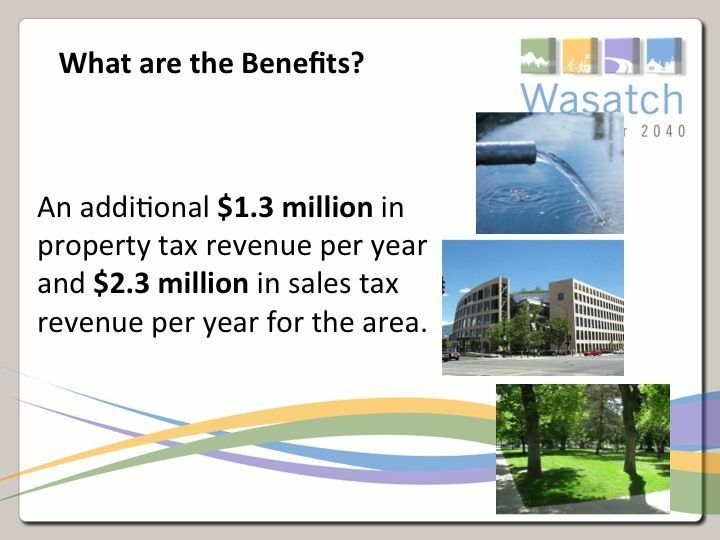 Under the Wasatch Choice Vision, this tool was created to be a free resource for any community. Internet access is required to use the assessment tool. Take the time to set up for your process. Clearly identifying core issues and concerns, getting the right people involved, and creating strategies for scoping, funding and community engagement will enable a smooth, outcome-oriented process. What are the primary issues or leading concerns that you would like to address? Why? 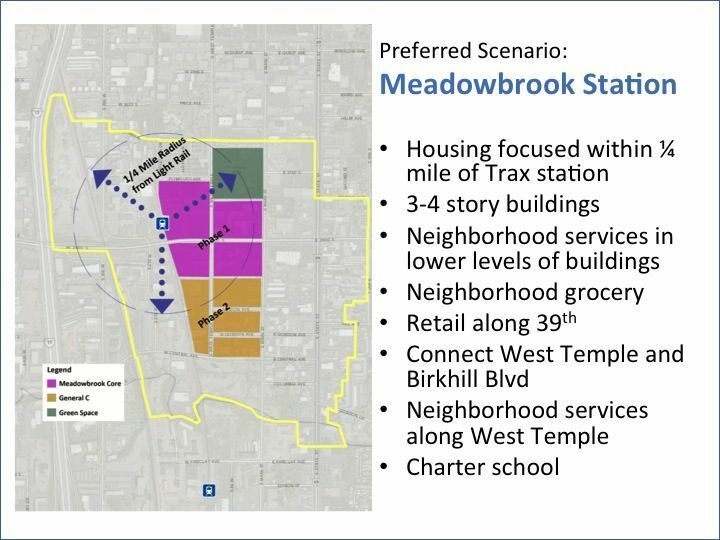 If we don’t maximize our public transit investment then we continue to underutilize the land near the Meadowbrook TRAX Station. 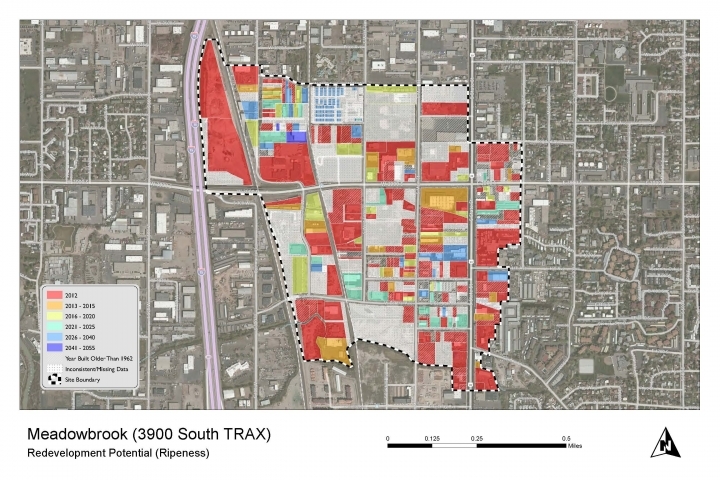 If we maximize our public transit investment then we create a center with housing and employment opportunities for the people of South Salt Lake. Who needs to be involved? Who are your stakeholders? How and when will you engage with the public? How will you reach those who don’t typically attend meetings? Establish a stakeholder group and meeting schedule. Include representatives of those who are traditionally underrepresented or underserved. Develop a public engagement and communications plan and schedule. What is your specific study area? Scenario planning allows your community to explore and test a range of choices for the future. 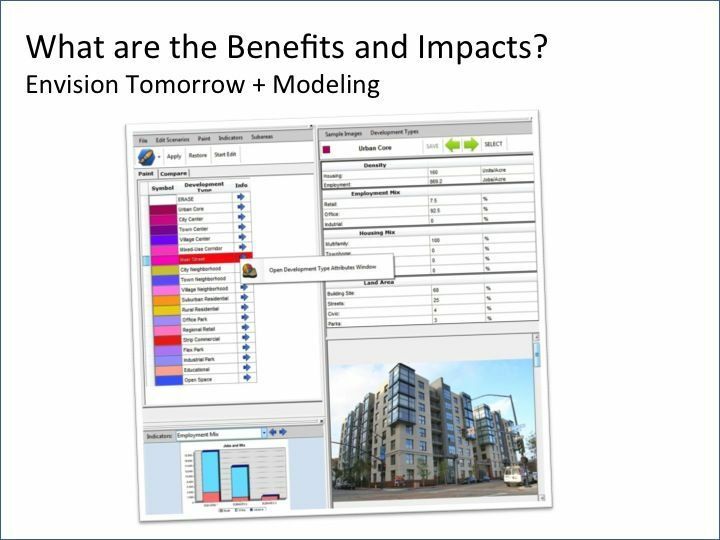 The Envisioning Centers process incorporates the use of ArcGIS, a land use modeling tool called Envision Tomorrow Plus (ET+), and a web-based, real-time street design tool called StreetPlan. ET+ allows you to not only evaluate scenarios but also to conduct significant upfront analysis and late-process analysis for implementation options. This step includes gathering your data and setting up ET+. StreetPlan allows you to quickly investigate and illustrate street design options using a drag and drop cross-section builder, best-practice advice, and other functionality such as the ability to draw on aerial photos in Google Earth. StreetPlan graphic tools may be used with or without set up or data. However, StreetPlan advice and reports require context information which will need to be gathered in this step of the process. Gather needed GIS data (see “Helpful Links and Downloads” section for worksheet). Install ET+ to be used with ArcGIS. Load building blocks for painting. Calibrate ET+ components for your local area. Before embarking on scenario planning, take time to understand the context, both regionally and locally, for your work. Explore both existing conditions and plans for the future, looking for both potential challenges and opportunities related to your planning effort. Green Infrastructure: What regional green infrastructure opportunities are there? How could you work with neighboring communities to achieve your goals? 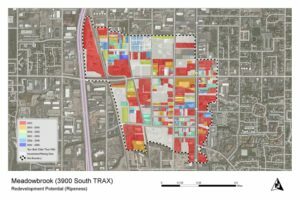 What impact could this plan have on your community? Are there ways to link local systems to regional ones? Housing: What regional housing opportunities or needs are there? How can you best meet demand? Transportation: What regional transportation opportunities are there? 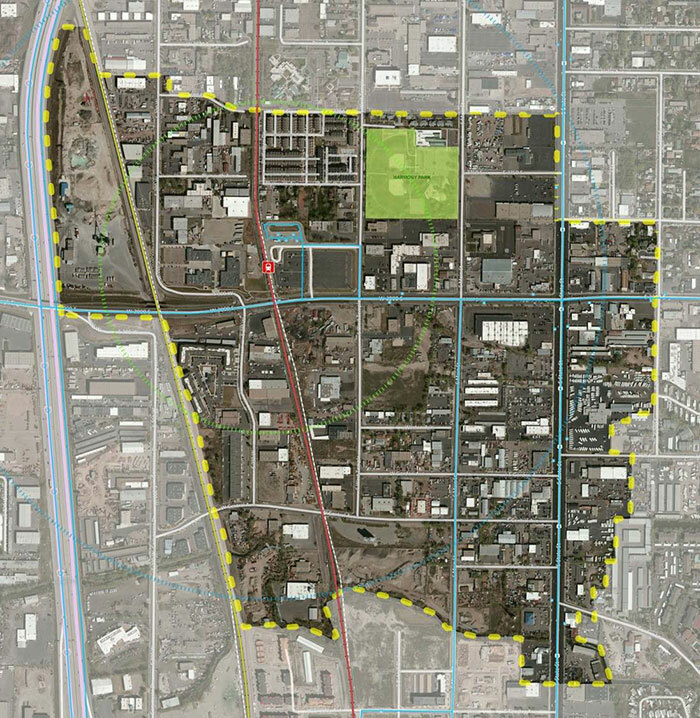 What impact could this plan have on your community? How could you work with neighboring communities to achieve your goals? How can your land use be designed to support the transportation systems we would like built? Economy: How does your community or your planning area fit within the economic context of the region? Which economic sectors thrive in transit served areas? Which of the sectors do we want to target with our economic development program? Utilities: What are the long-range utility plans for major infrastructure? What impact will plans have? Are there land use compatibility issues to keep in mind? Demographics: Who are you planning for? Who is and will be in your community? What are their needs? Conduct research to understand demographic context. Adjust stakeholder group and issues accordingly. Market: What is the market demand for your community? How many new housing units and jobs by type and price point do we need in the future – both short- and long-term? Review/conduct market study. 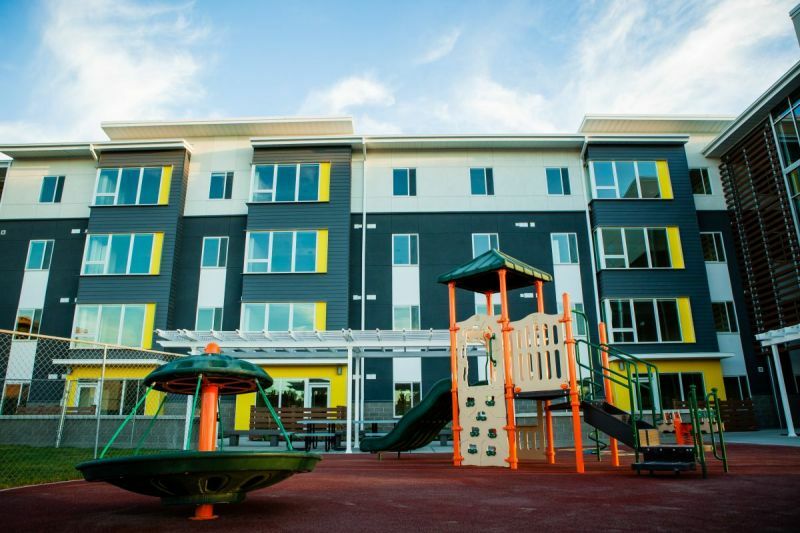 Affordability: Are there housing units that are affordable to those who work in your community? What are the impediments to housing affordability and access to opportunity? What goals do you have? 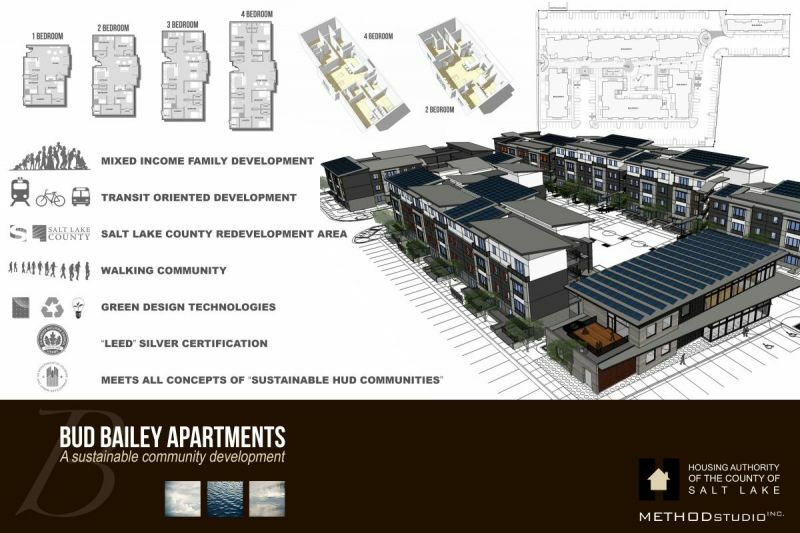 Identify affordable housing needs and goals. 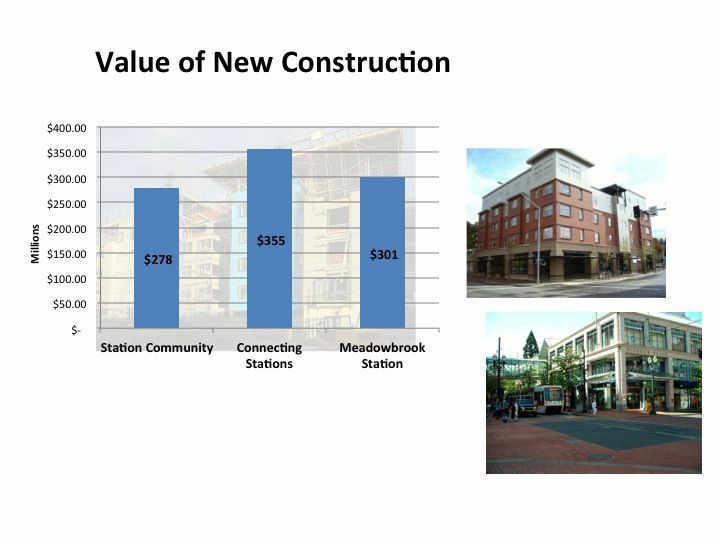 Opportunity: What are the barriers to transit-oriented development? What are potential strategies to fund needed improvements? Building Feasibility: What range of building types currently “pencil” given today’s market conditions? 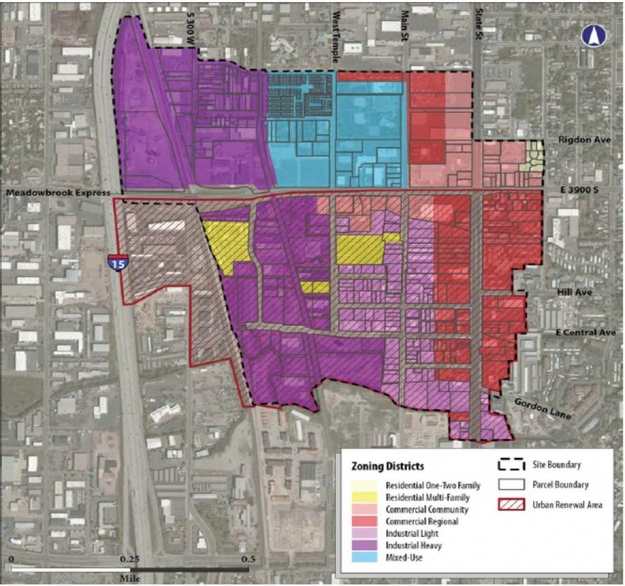 Zoning: How market-friendly is our current zoning? 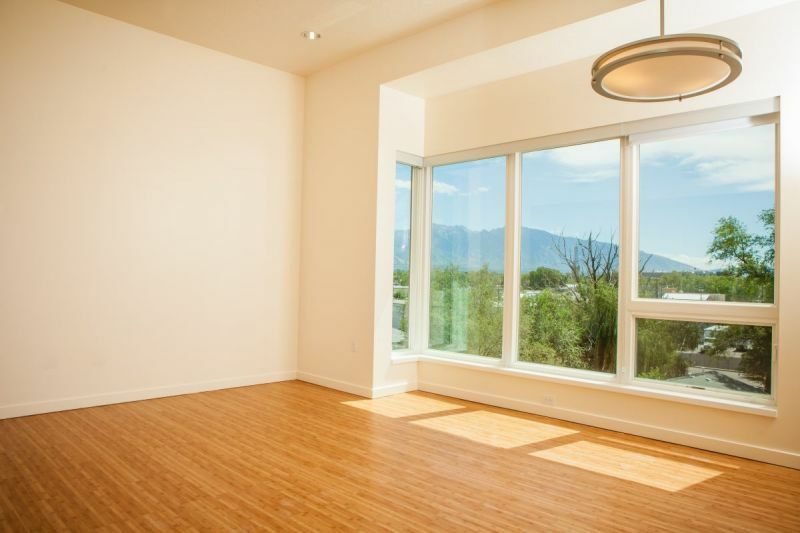 Trends: What have recent development trends been like? Evaluate several years of permit data. Focus: Where might we focus our planning attention? As you gain an understanding of your planning context, it’s also helpful to explore where you may be headed given recent trends and current policy. This step includes creating a baseline, or “business as usual” scenario that carries trends forward into the future and measures potential impacts. Alternative scenarios and their impacts can then be compared to the baseline. 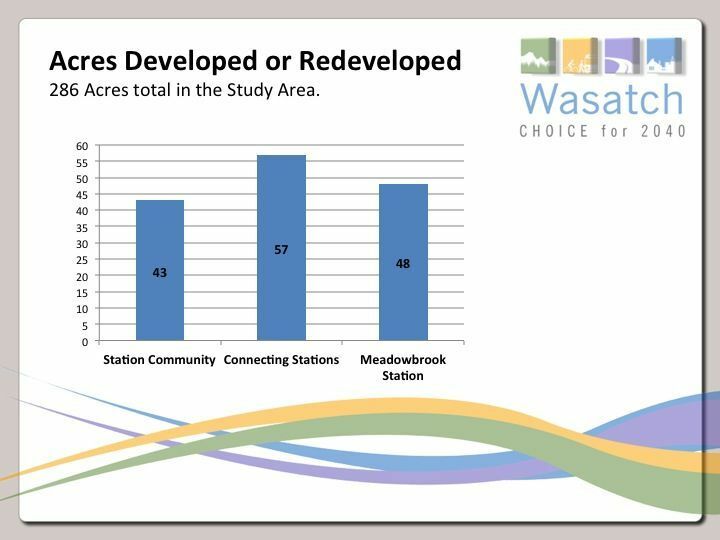 Explore impacts of the Wasatch Choice Vision scenario. Develop a business as usual scenario. Identify impacts of current course. What will our future be like if our current plans are realized? What have recent development patterns been like? What does continuing these patterns into the future look like? What current zoning or other regulatory mechanisms impact the area? Envisioning processes and their outcomes should include and serve community residents and stakeholders, including those who may be traditionally underrepresented or underserved. This step is likely a series of multiple events or ways of sharing information and gathering ideas. 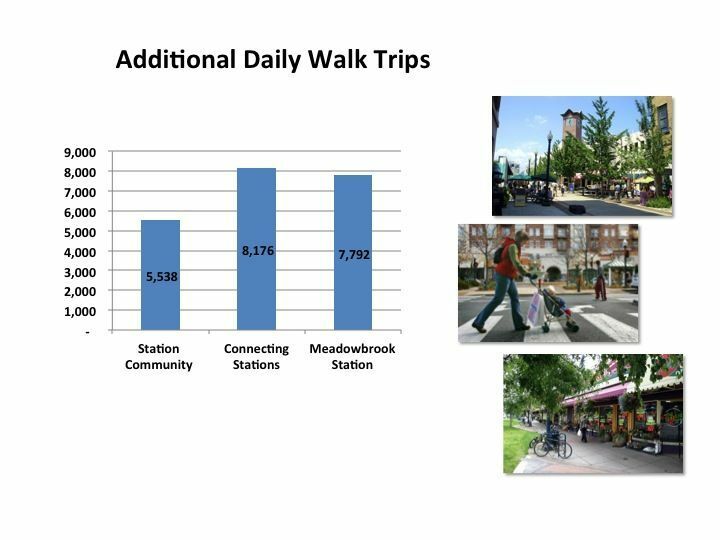 StreetPlan’s graphic tools provide an easy way for a group to explore various street design options and their ramifications. Share your research with the community and stakeholders. Where are we today? Where are we headed? What are some potential constraints and opportunities (i.e. 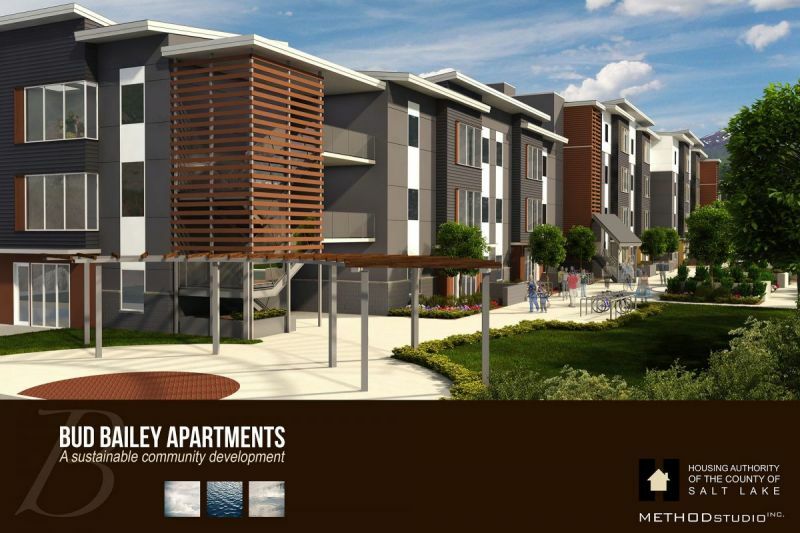 market demand and development feasibility, housing)? Develop evaluation criteria. Reference regional values study or consider a community values study to understand the priorities of residents. Develop local goals (narrative) for scenarios (modeled indicators). Local goals may be tied to regional vision principles. Some categories to think about include housing, employment, transportation, and environment. Set potential benchmarks for scenarios (i.e. 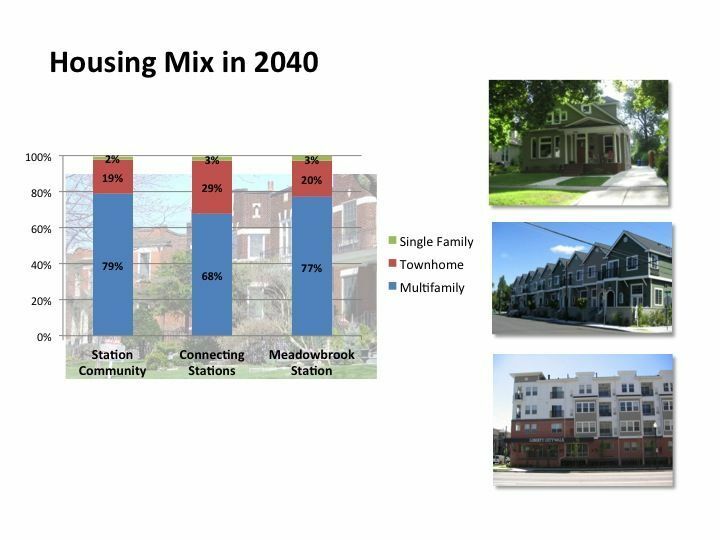 share of housing needs to be met at the site, amenities the site should include). Conduct hands-on public engagement workshops (mapping exercise and survey). Where should we focus our effort? (Assessments in previous steps can provide good guidance.) Perhaps what’s included in () appears when scrolling over questions? Using what you have learned about your region, community, site, and the preferences and hopes of community residents and stakeholders, you can use ArcGIS, ET+, and the design guidance and reporting utility of StreetPlan to create and evaluate alternative scenarios. This is an opportunity to experiment and learn with your stakeholder group, exploring a range of options that capture ideas from your stakeholders and the public, and are informed by your prior analysis and research. Decide what to hold constant in the scenarios (i.e. population and employment growth) to make it possible to isolate the impact of various changes you want to see. Scenario experimentation by staff/core group/stakeholders. 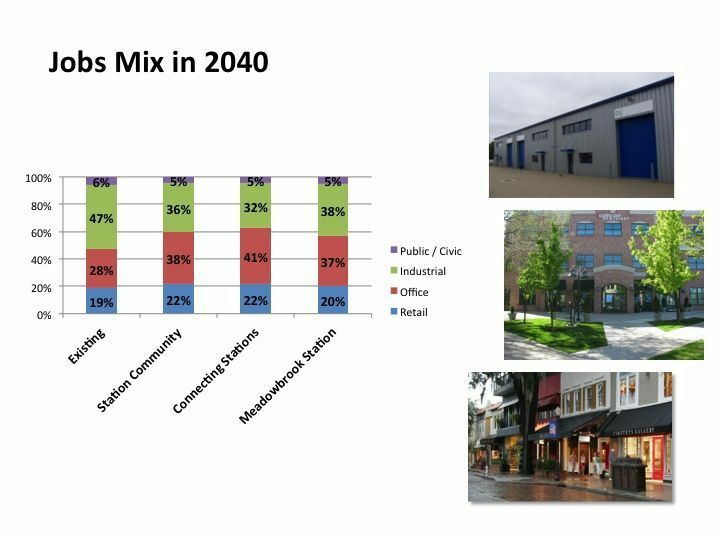 Building-Level Scenarios: What zoning or development regulation changes have the most significant impact on development feasibility? Are any of the buildings that aren’t currently feasible so important that you want to experiment with financing tools to make them feasible? 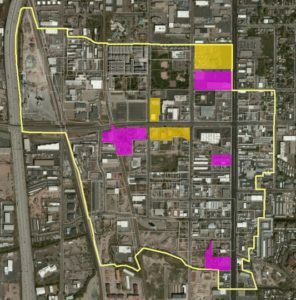 Planning Area Scenarios: What does the current zoning/plans envision for this area? What are the themes that came from the hands-on public workshops? How can scenarios meet specific policy objectives (i.e. 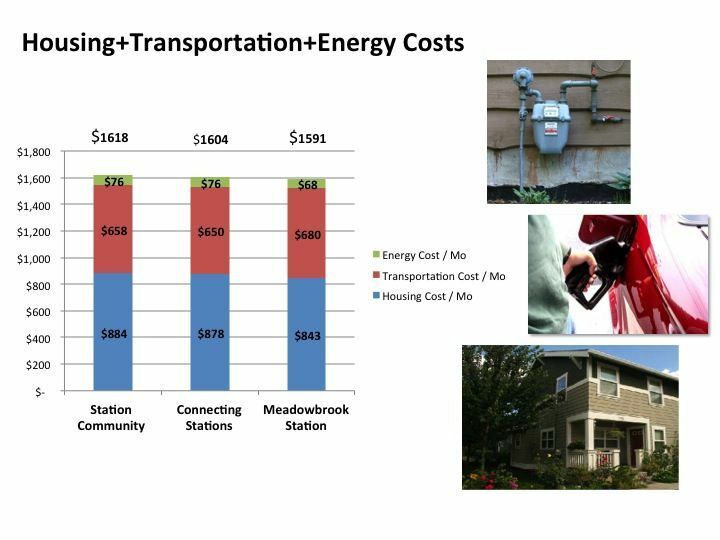 affordability, transportation efficiency)? Growth Costs and Revenues: What are the costs and revenues associated with future growth scenarios? To what extent can positive future revenues be leveraged in the short term to spur private investment? 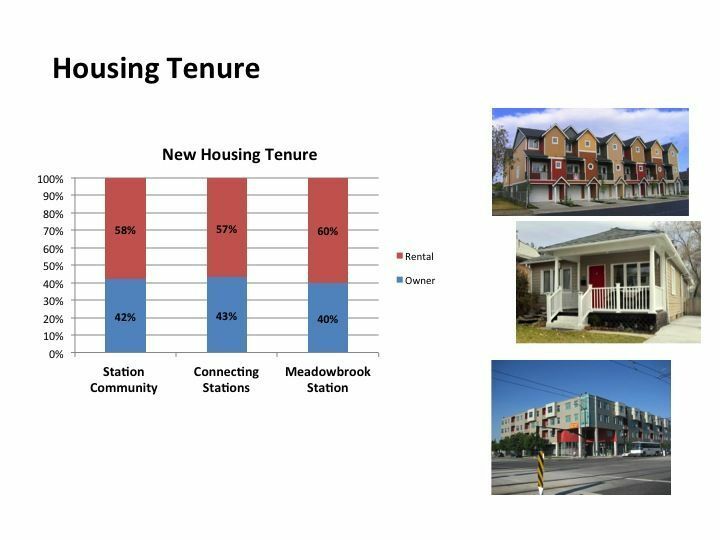 Amenities: How will the presence of existing or future amenities impact development feasibility by increasing achievable rent or sales price? 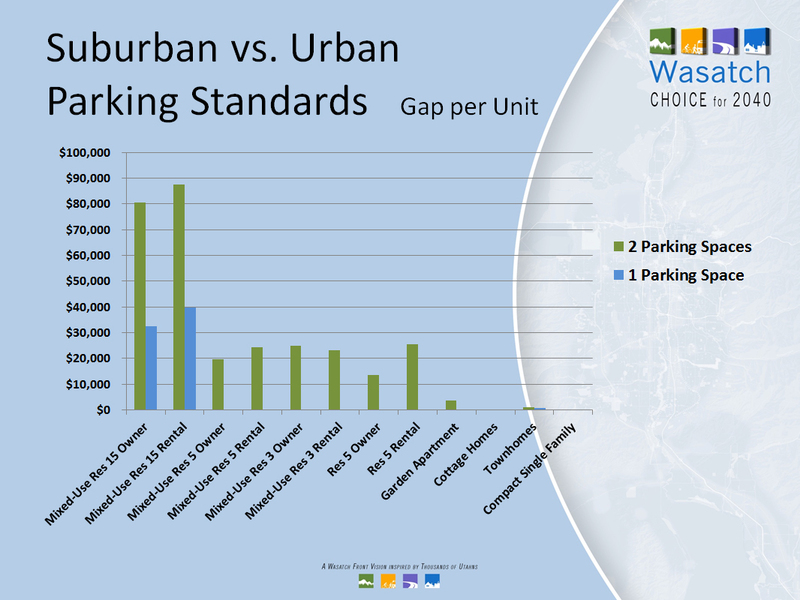 Parking: How does the mix of uses in a scenario decrease peak parking demand and reduce the need for investment in an oversupply of parking? Water and Energy: How do different development patterns influence levels of water and energy use? Air Quality: How does the mix of buildings and travel behavior of each scenario influence carbon emissions and other pollutants? 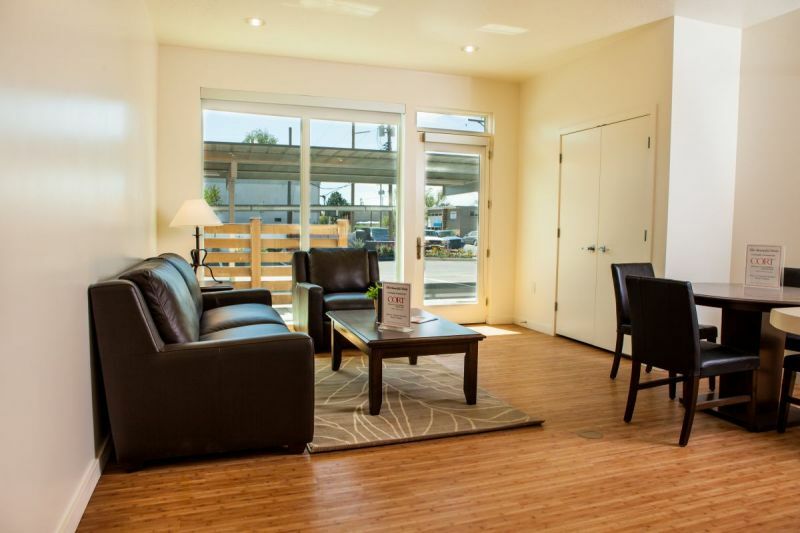 Affordability: How does the mix of housing address affordability? Are residents at risk of being displaced? Travel Behavior: What are the differences in travel behavior that result from different district-level scenario development patterns? How do different development patterns at the city or regional-level influence household-based travel behaviors? Public Health: How do changes in walk trips across scenarios result in changes to health? What are the public health implications of each scenarios travel behavior? Transportation Safety: How do changes to scenarios, and the associated changes to travel behavior, influence transportation safety? Because envisioning processes and their outcomes should include and serve community residents and stakeholders, including those who may be traditionally underrepresented or underserved, share both the baseline scenario and alternative scenarios developed from community input and get feedback. This step is likely a series of multiple events or ways of sharing information and gathering ideas. Keep it relevant. Communicate scenario outcomes in terms of community values and key evaluation criteria determined earlier. Keep it visual. Use pictures instead of text, bullets instead of paragraphs. Use photo-simulations and simplified scenario maps to illustrate ideas. Get feedback from stakeholders and the public, asking them to evaluate and weigh in on different aspects of the scenarios. After stakeholders and the pubic have had an opportunity to examine the scenarios and associated impacts and express their preferences, you can work with your stakeholder group to create a vision that reflects community values and goals. While the vision is often initially shared at a large community event, it can be celebrated and shared over time as its components are implemented. Identify desired themes, policy objectives, and benchmarks from alternative scenarios and public feedback to create the vision scenario. Create a vision scenario map and refine local vision principles and objectives that address community values. Create a vision scenario map (perhaps a hybrid of multiple scenarios). Refine local vision principles (narrative); tie to values. Identify vision objectives (the data that supports principles – i.e. number of affordable housing units, number of transit trips, etc.). Create a narrative and graphical story (PowerPoint, video, storytelling, etc.) that explains the vision for the area, including maps, pictures and evaluation indicators, and how it is consistent with values. Share the vision with your community. Stakeholders involved in your visioning effort should include those most able to implement it. 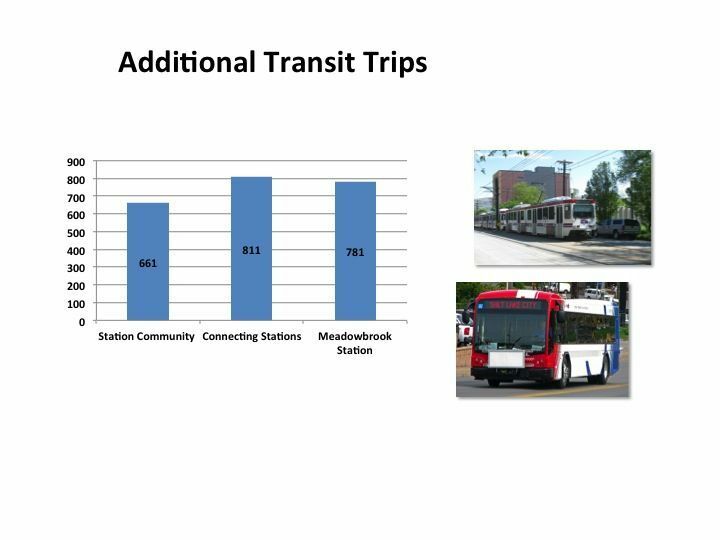 In Envisioning for transit-oriented development efforts, implementing stakeholders may include policymakers, developers, and nonprofits working in the area, as well as those involved in regional initiatives that impact local communities (i.e. transportation systems, economic development planning, etc.). In this step, stakeholders work together to develop a viable implementation framework and act on it. Develop an implementation framework or action plan, identifying immediate-, shorter-, and longer-term tactics for various stakeholders to implement vision principles and meet objectives. How can you improve community/site readiness? How can you improve policy readiness? Are there policy barriers (i.e. suburban parking requirements) that can be removed? Are there alternative coding options (i.e. form-based code) that would streamline development processes? What public investment (i.e. 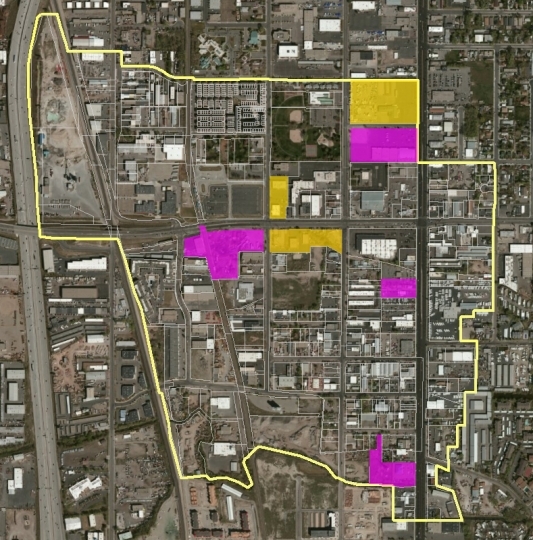 capital improvements)/public-private partnership options are possible? Are interim or catalyst projects possible? Circle back. Coordinate back out to neighboring cities and regional/state agencies about your local vision, enabling local planning to influence regional/state-level work (i.e. the Regional Transportation Plan, plans created by the Governor’s Office of Economic Development). Progress indicators may be very similar to the evaluation criteria that were applied to the scenarios in earlier steps. They should measure ongoing progress toward achieving the objectives outlined in the vision. This step should also include identifying a mechanism for long-term accountability. 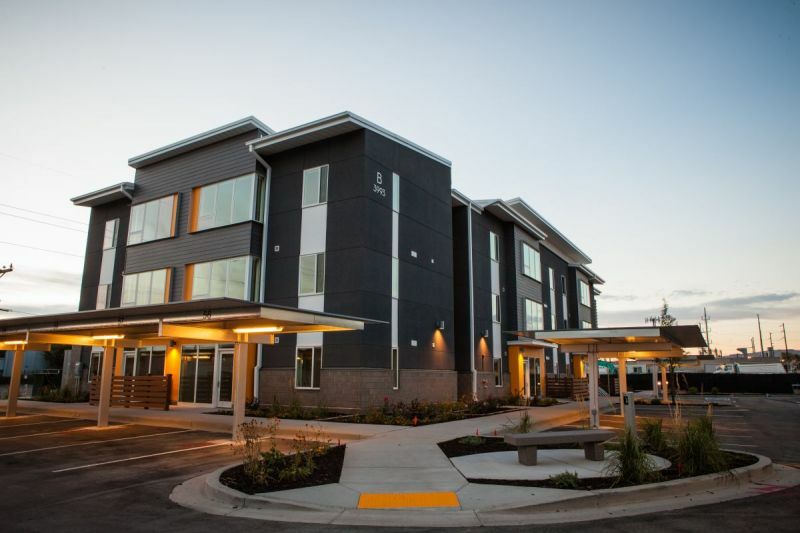 New Development in the Meadowbrook Study Area includes the Bud Bailey Apartments that will provide 134 units of affordable housing for low-income refugees, homeless families, and homeless youth.